Trust a Canadian to always figure out a way to get the most out of a celebration. Get spirited away at Carnaval de Québec visiting an ice palace or watching the unique ice-canoe races. Head to Alberta and walk the midway at the Calgary Stampede to sample delicious (and often daring) foods. Then it’s off to the chuckwagon races, barrel races and rodeo. If you don’t own a toque or a stetson yet, we’ll of course be able to point you in the right direction. Toque /tōk/ Canadian: A close-fitting knitted hat, often with a tassel or pom-pom on the crown. The thrill of each evening’s chuckwagon races is unsurpassed at the Calgary Stampede. The riders are rock stars, the horses are athletes, and you’re sure to be in for some wild west fun. Drawing over one million visitors each year, the Calgary Stampede features one of the world's largest rodeos. Trust us, you won’t want to miss it. Billed as ‘The Greatest Outdoor Show on Earth,’ the Calgary Stampede is the world’s richest rodeo featuring the world’s toughest competitors. Every July this 10-day western extravaganza takes over Canada’s cowboy city, inviting the world to join the fun. 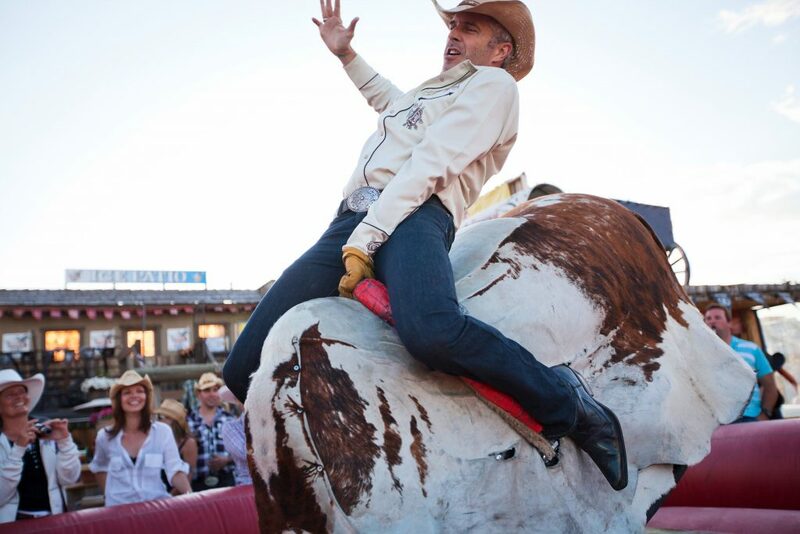 From barrel racing to bull riding to chuckwagon races and country and western concerts, the fun never stops, making the Stampede an ideal add-on to an authentic western Canada itinerary.